Erica Giuliani offers a wide range of shoe accessories, from shoe clips and buckles to straps, heels chains, and studded boot belts. Sisters Patricia and Nadia Macri brought to life the company, Erica Giuliani. “Wouldn’t it be great if we could take the accessories on and off when we felt like it?” this was the spark. Founded in February 2008, Canadian company Erica Giuliani (formerly LeBootique), is a pioneer of fashion accessories for shoes and boots. 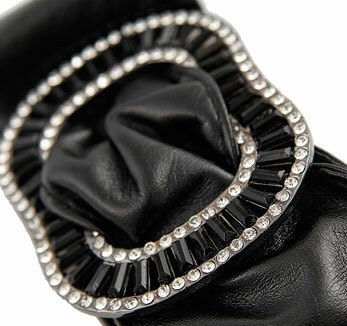 From simple clips to more intricate leather leg warmers, Erica Giuliani accessories can be easily applied to all type of shoes and boots, allowing women to mix and match and customize their looks. Designed in Italy, the accessories are made from a variety of materials and divided into collections depending on their style.